Qing Lan Retreat, is our little studio (青蘭山房). 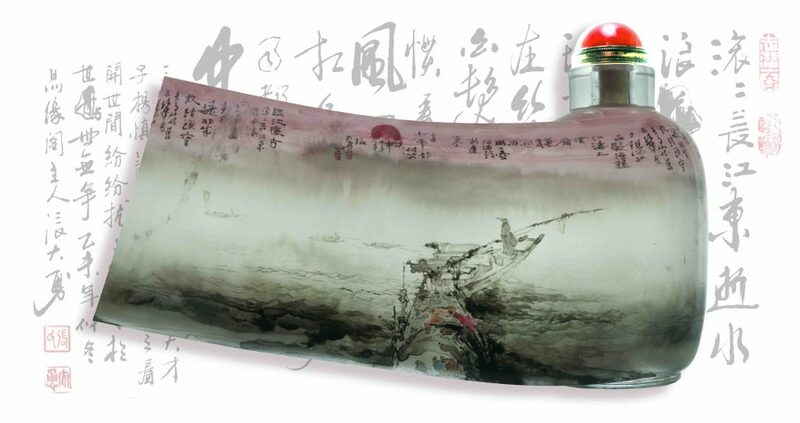 We work closely with many Chinese inner painting artists to bring you some of the most intrigue and creative paintings. 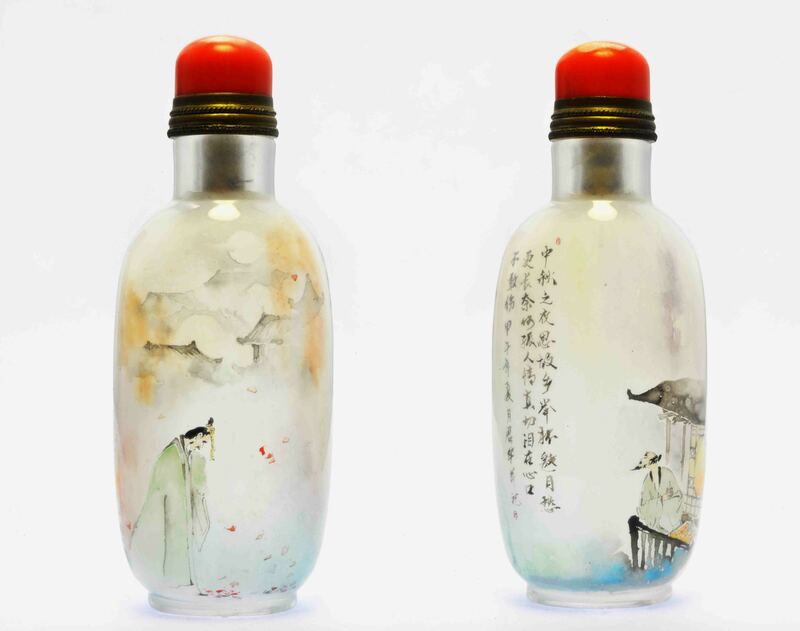 These miniature painting are drawn on the inner surface of a little bottle. This website is an easy platform for Chinese artists to showcase their masterpieces. The art pieces showcased are testaments to the creativity and skills of them. Inner painting artists need many hours of training. 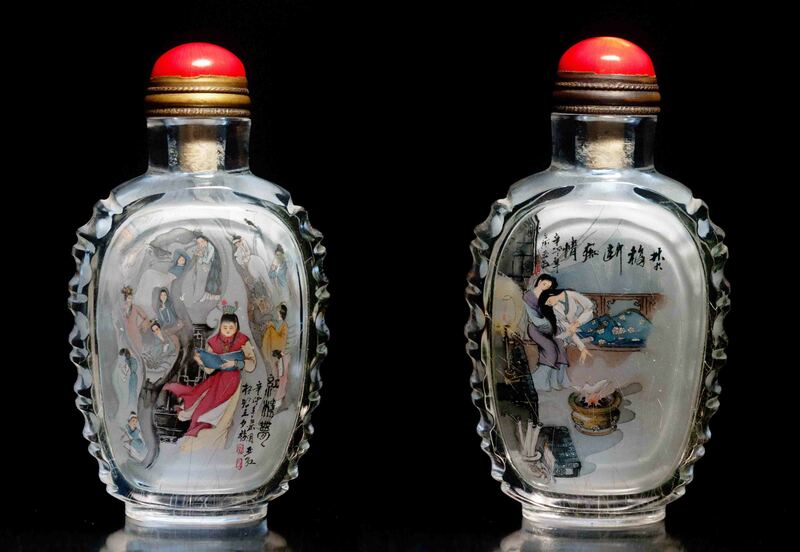 These artists dedicated their life to the art so as to creating detailed miniature paintings within a bottles. 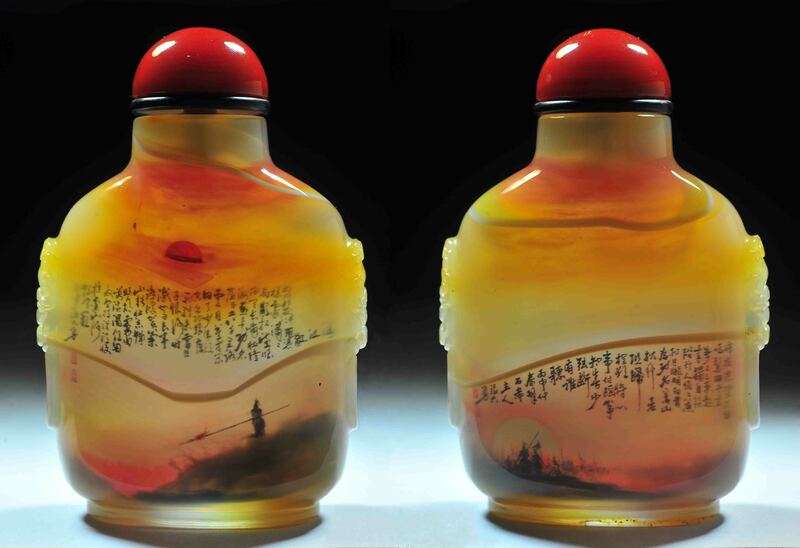 Each bottle is uniquely painted by hand. Looking at the artwork, its easy to understand that complicated bottles can take more than a month to complete. 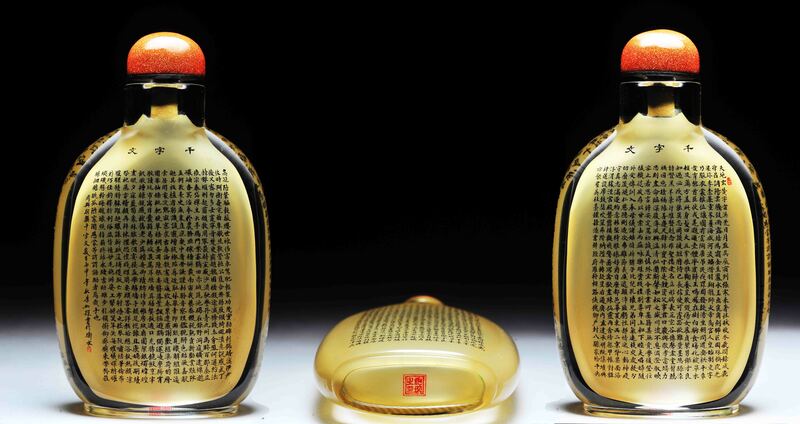 Therefore, even the best craftsmen can only produce a few bottles a year. 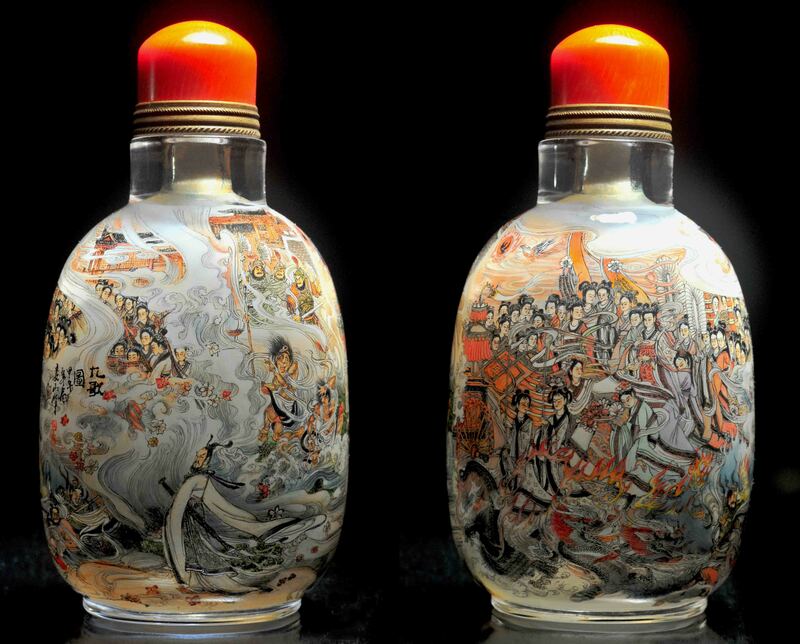 Inside painted snuff bottles is a unique art form of the Chinese Culture. 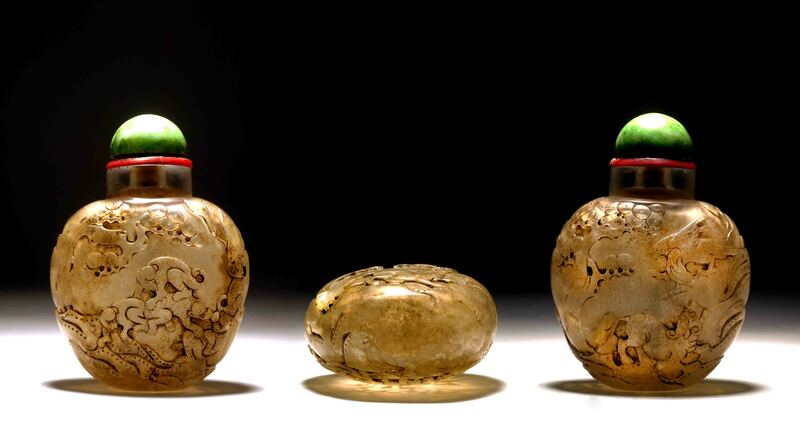 It is believed that the first inside painted bottle was painted sometime between 1795-1800. At that time, China was under the rule of the Qing Dynasty under Jia Qing Emperor. One legend has it that a lowly ranked official while traveling to Beijing has stopped to rest in a small temple. Due to the long journey, he had exhausted all his money. Therefore, nothing was left to buy more snuffing tobacco. Out of desperation when his tobacco addiction kicked in. He used a slender stick to scrape off the remaining tobacco caked on the wall of his clear snuff bottle. The marks left lines and patterns on the inside wall of the bottle. 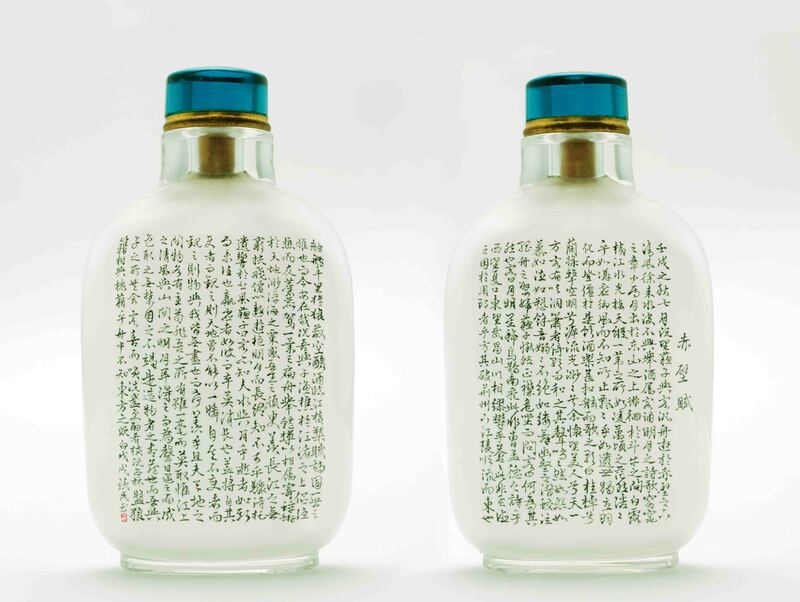 The bottle was seen by a young monk who was inspired by what he saw. Using a thin bamboo stick dipped with ink. He started to experiment painting pictures on the inner wall of the bottle. 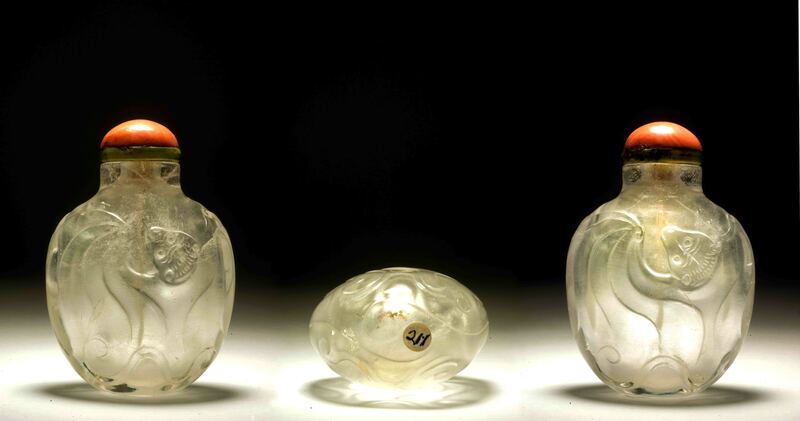 Consequently, created a new possibility of decorating snuff bottles. Another suggestion is that the art of inside painting was developed by the Chinese commercial artists in Guangzhou (Canton). They are commissioned by Europeans to do reverse painted subjects on glass. 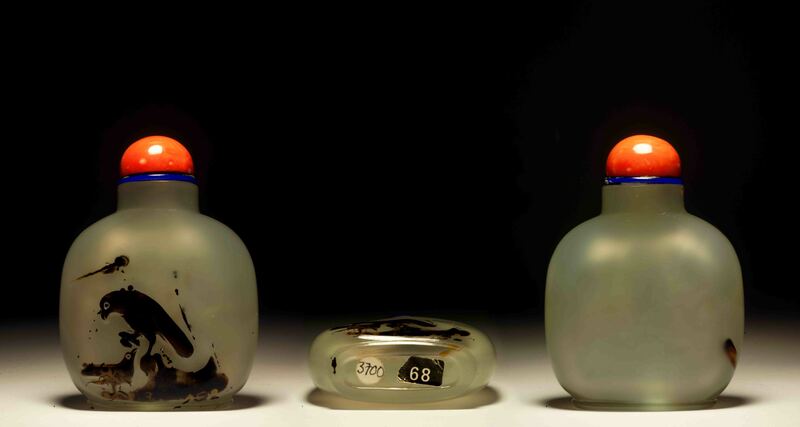 Using the same technique, these painters started to paint pictures on the inner side of clear quartz and glass snuff bottles as an extra income. 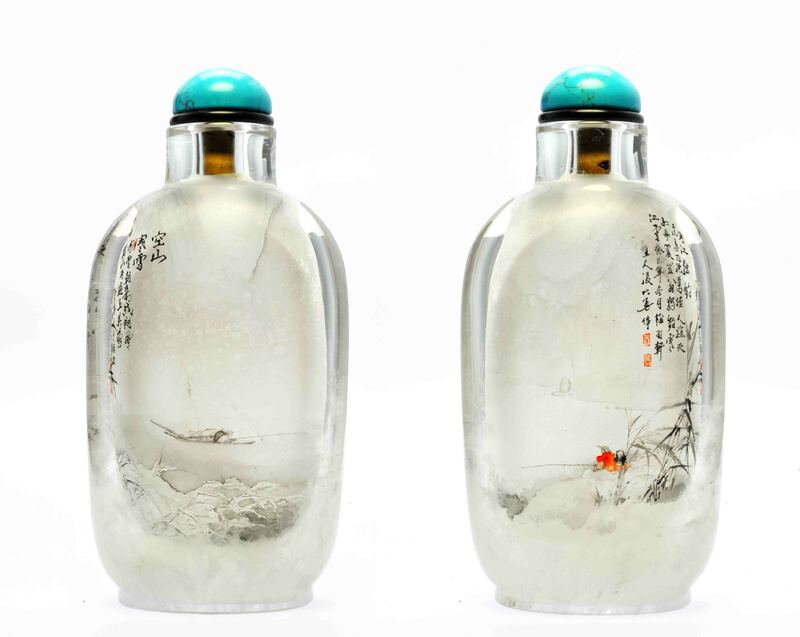 The first inside painted bottle was done in Guangzhou and soon found its way to Beijing where most of the rich and famous Chinese were.